From the Chula Vista (California) Police Dept. Facebook page. On Friday, CVPD lost a trusted partner, K9 Griffen. 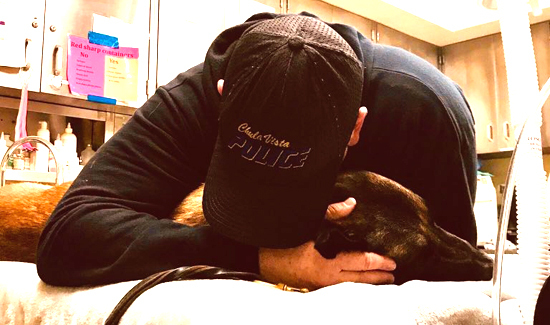 It was a hard day for all of us, especially Griffen’s handler and best friend, Officer Chancellor.